Coffee lover's whiskey, whiskey lover's coffee. Billed as the “coffee lovers’ whiskey” and the “whiskey lovers’ coffee,” Jameson Cold Brew captures the flavor of strong Irish coffee, but unless you’re going to a quality bar or have some serious mixology credentials, you probably won’t find an Irish coffee this perfect. 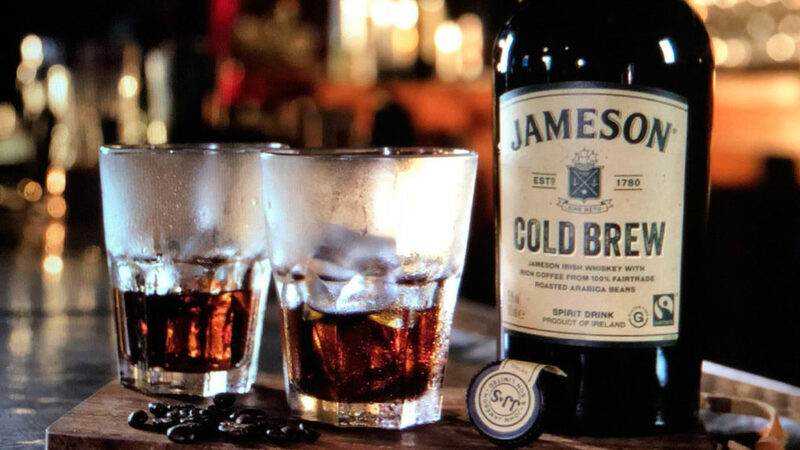 Jameson Cold Brew pairs this iconic triple-distilled whiskey with rich, roasted, fair-trade Arabica coffee to yield a product that is great straight up or on the rocks, delivering a warm, smooth, and full-bodied mouthfeel. It also mixes exceptionally well, creating incredible cocktails such as the Jameson Cold Fashioned (with sugar syrup and both Angostura and chocolate bitters) and the Jameson Cold Brew Cooler (with added cold brewed coffee and bit of vanilla). A limited edition product, Jameson Cold Brew is currently available only at the Jameson Distillery Bow Street and select O’Brien’s locations.